There’s a prediction from ASI this week that the next big thing in promotional products will be adult coloring books. Yes, you read that right. Coloring books with amazingly intricate patterns intended for adults. The kind that call for fine tipped markers or colored pencils. Maybe you’ve noticed them yourself. Over the holidays, stores reported them as a popular gift. 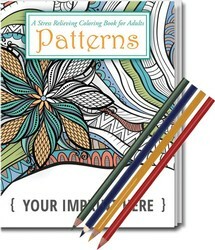 Five of Amazon’s current top 15 best selling books are adult coloring books. A recent Fortune article points out that adult coloring books are one of the biggest contributors to the boost in print book sales. 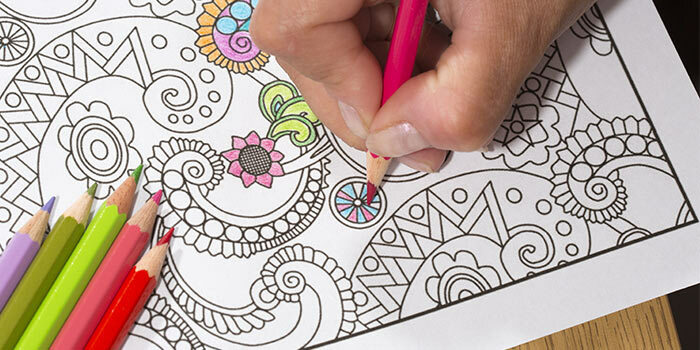 If you’re not comfortable with other forms of stress reduction, and you’re looking for a hobby that will help you relax, adult coloring books might be the perfect option for you. Beyond the gardens and geometric patterns, there are ones for adult entertainment favorites like “Outlander” and “Game of Thrones” (all men must draw). It might surprise you to find adult coloring books are growing increasingly popular in our plugged in, hyper-connected world. Could it be that we all need a break from all that connectedness? Adult coloring books supply just hat, am activity you can do alone or with others. Those who color regularly find it hypnotic, relaxing, satisfying. People often share their finished work on Facebook or Pinterest. Of course the experts have it all figured out. Coloring offers a therapeutic advantage to adults. This activity is a stress reliever, a chance to wind down and step away from all things tech, to create with your own two hands, to rediscover youth. Coloring for adults is a chance to unplug, focus on something else and ultimate produce work they can be proud of. One tip, go for colored pencils or fine tip markers as the designs you’ll be working on are not what you might remember from childhood. Standard crayons will not work here. 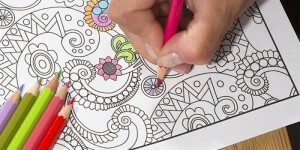 So why not consider adult coloring books as an idea for a promotion? They’re a great option for employee run wellness programs. They’re a natural in healthcare settings, colleges and universities, or to help pass the time when traveling. There really are no end to the ways the can be sued. And when they are, your name and message (or number) will be right there for all to see. We can help you get started, just give us a call.